Martine Friedman has been a successful personal coach, business and marketing consultant and recruiter for many discriminating, successful executives, and start-up companies. In 1995, she consulted with a human resource development company that specialized in training and human resources, and became interested in the idea of using Myers-Briggs personality and compatibility testing to match people to positions, and people with people on the right teams. Meanwhile, she enjoyed matching up friends with each other on a personal level coaching them for success, as well as helping match them with others in her network for career opportunities. In 2002, running a national business matchmaking event for Office Depot, Martine again started thinking about how to combine live matchmaking events with tools such as the Myers-Briggs to match successful professionals and entrepreneurs with their ideal life partners. In 2009, after consulting with one of Charleston, South Carolina's largest wedding caterers and reading story after story of happy brides and grooms, everything came together and Martine decided to create a dating service that would help the many wonderful friends and clients she knew who had not yet found their perfect partners achieve their goals. Martine understands that the busier and more successful people are, the harder it is for them to put in the time it takes to find a truly compatible partner. 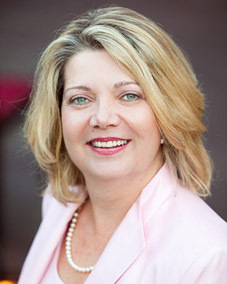 She is sensitive to the needs of busy executives, single parents, and dedicated professionals such as attorneys, physicians and computer engineers. Martine is enjoying a relationship with a wonderful man who she met while testing this new dating approach…and found great success.